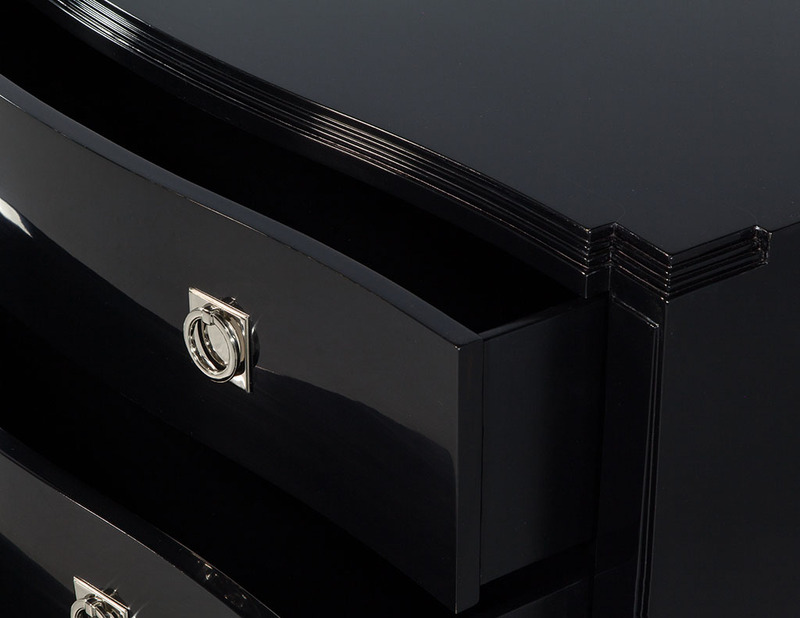 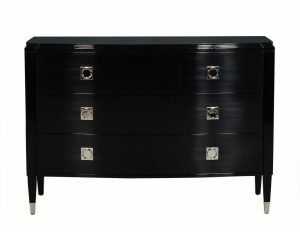 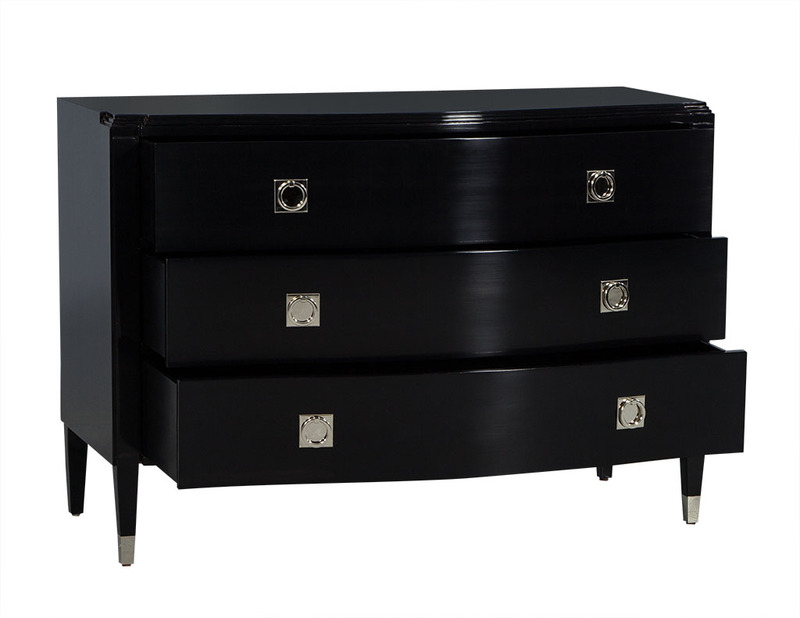 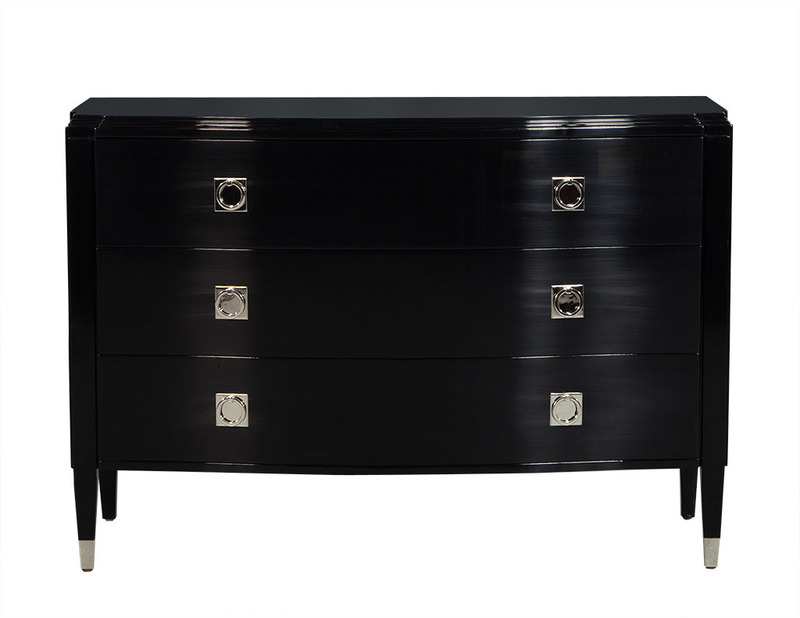 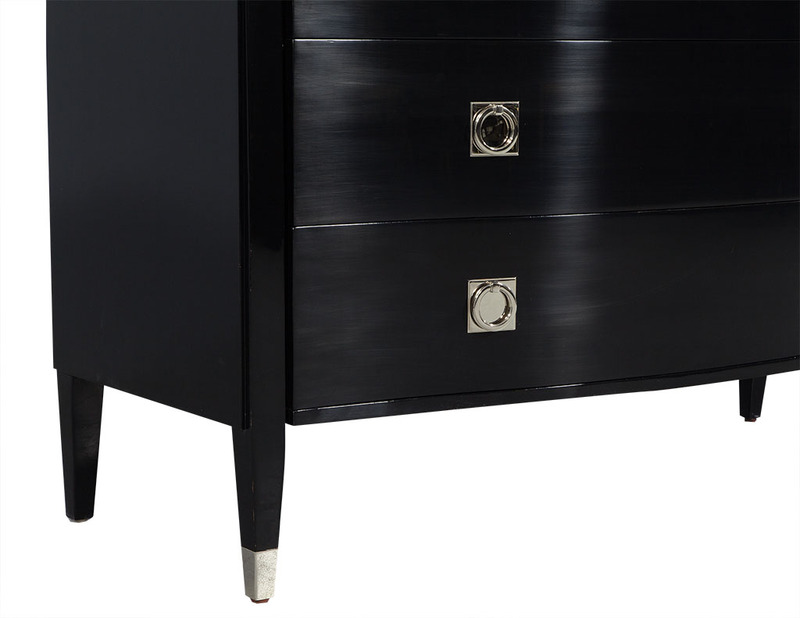 This transitional style dresser has three drawers and is finished in a rich, black lacquer. 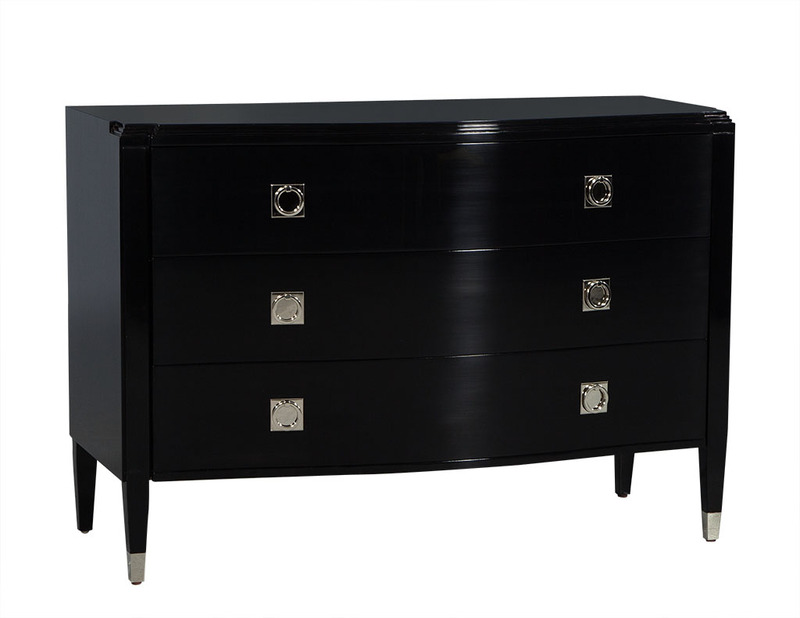 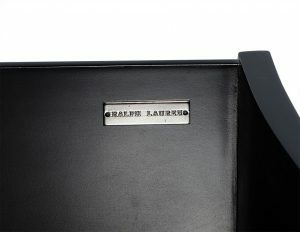 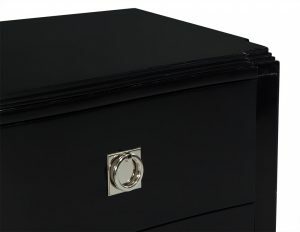 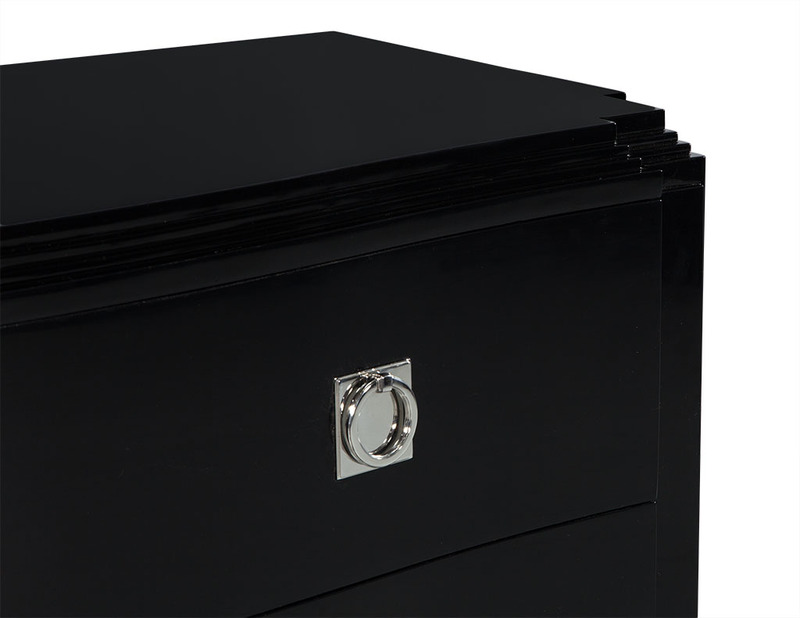 It features a serpentine top and bit of glitz with stainless steel ferrule pulls. 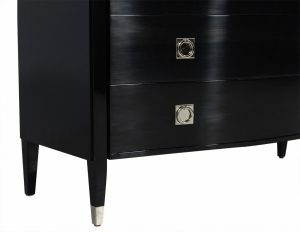 The piece sits atop four fluted legs with stainless steel caps on the two front feet and is a beautiful addition to a bold bedroom.